Inch by inch, foot by foot, the Trolley Trail network in West Fairmount Park is growing. 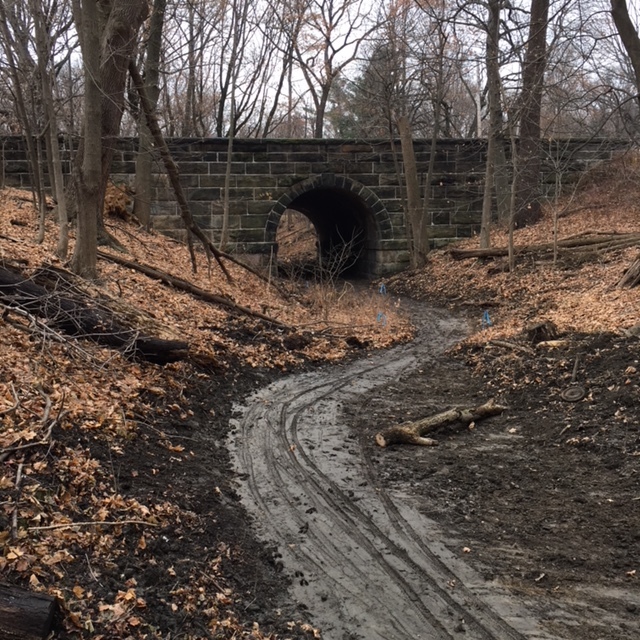 This week, the Natural Lands team at Fairmount Park Conservancy, with Knight Brothers and Belmont Plateau Trails Alliance, began clearing the way for a 3,050-foot-long segment along the Trolley Trail between Greenland and Chamounix drives. Using a forestry mower, the team started clearing the trail corridor in advance of the build, working in the woods between the Chamounix Youth Hostel and Lilacs House. The next section of the trail will be a little more than a half-mile long and will include the addition of kiosk with historical and interpretative information and a map. 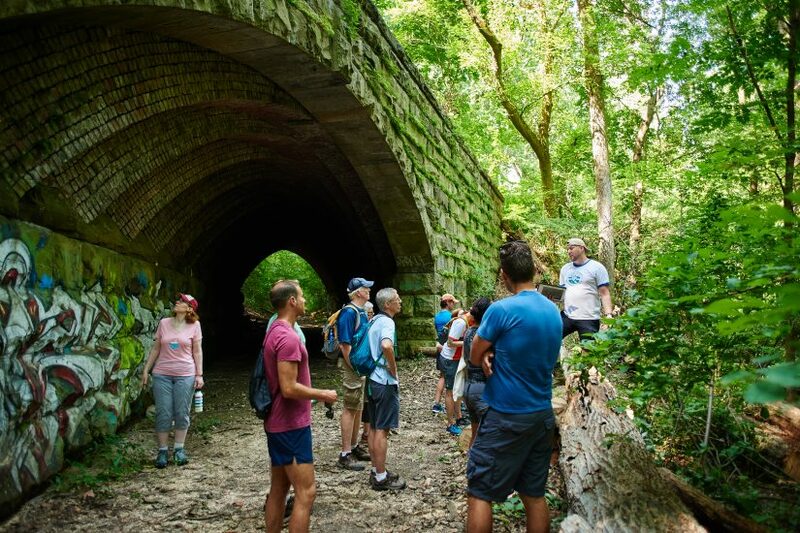 This phase of the project is being supported by the Adelberg Estates and proceeds raised for the Belmont Plateau Trails Alliance at a Parks on Tap Happy Hour held at Belmont Plateau in June. The full Trolley Trail network will ultimately be five miles long, following the old pathway of the scenic trolley that ran through the woods of West Fairmount Park in the early 20th century. Although work on the Trolley Trail project has been ongoing for a few years now with Terra Firma Trails, the trail still remains a hidden gem and proves difficult to find for those new to the trail. 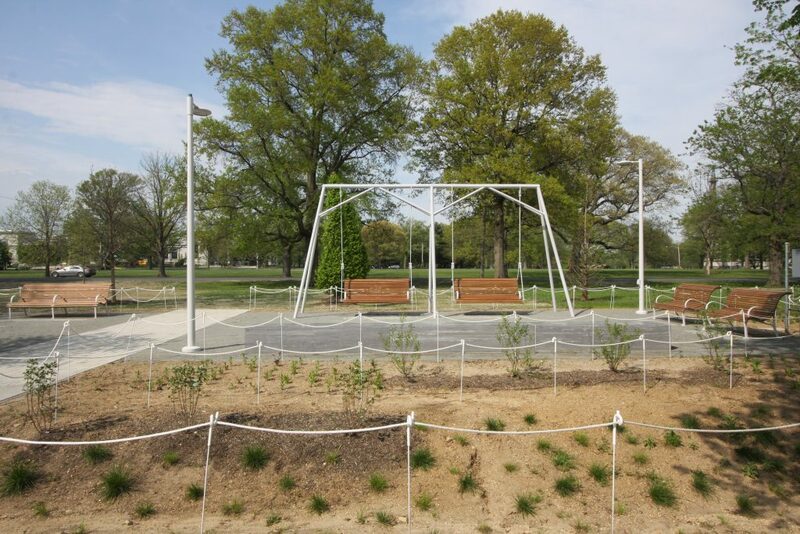 The kiosk and wayfinding information could help more park-goers enjoy the trail and its show-stopping bridges and tunnels, plus learn about the fascinating history behind the old trolley line. When this phase is complete in late August, there will be about 1 more mile to go before there is a usable Trolley Trail loop, says Luke Rhodes, Project Manager at Fairmount Park Conservancy. Stay tuned! To learn more about the Trolley Trail Network, click here. 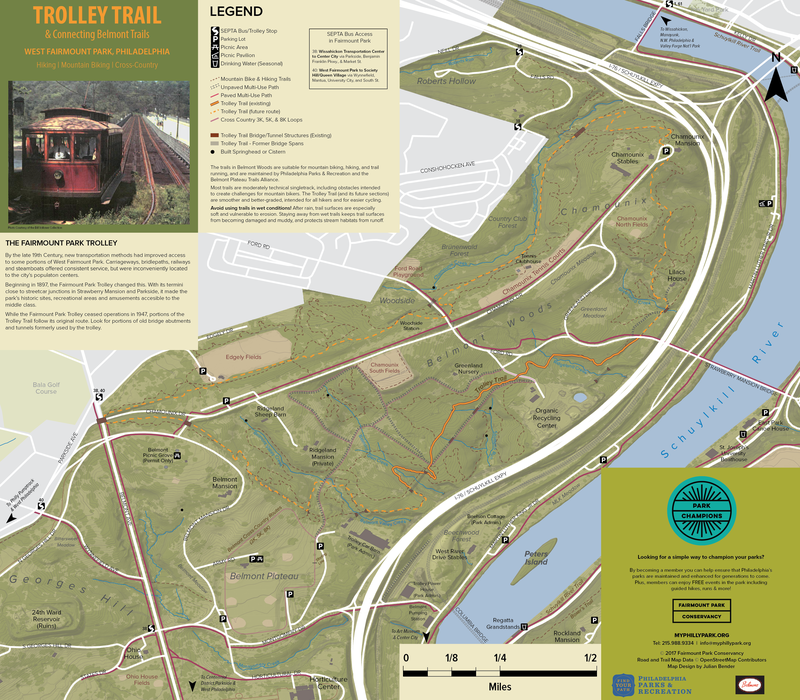 Click here for a map of the Trolley Trail network and be sure to join us for guided Trolley Trail hikes this summer and fall. 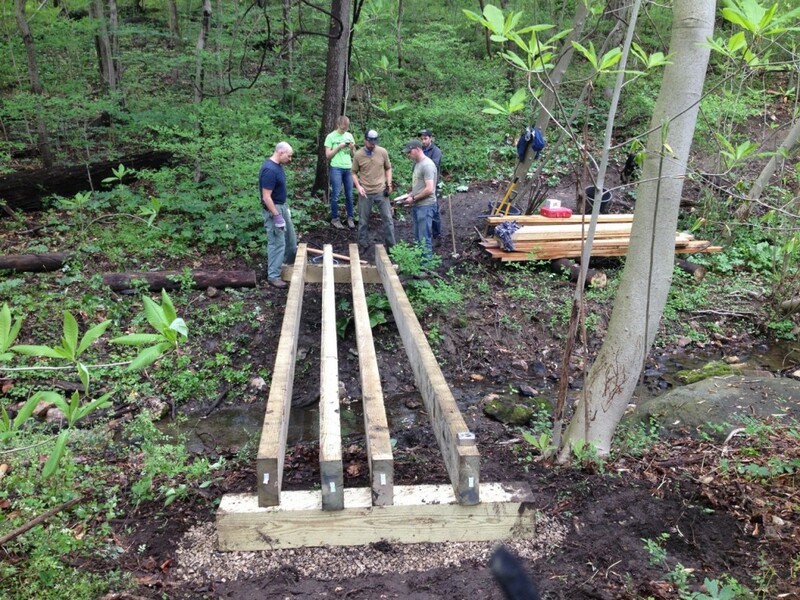 Phase III of the Fairmount Park Trolley Trail is under way!